Paul Goldschmidt: Do D-back fans know who they got in return? Do Diamondback fans even know who they got in exchange for Paul Goldschmidt? 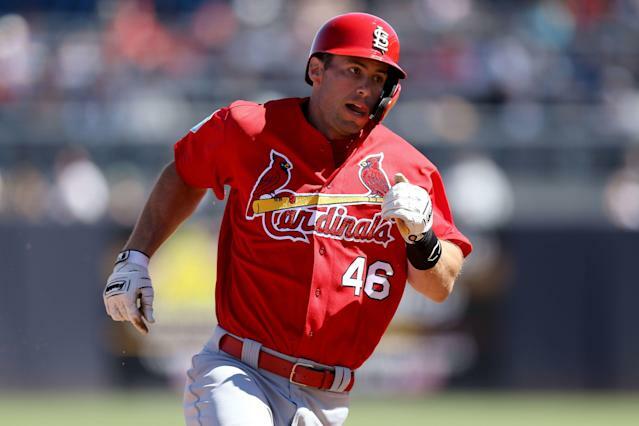 The St. Louis Cardinals have reportedly extended their offseason acquisition, first baseman Paul Goldschmidt, for five years, $130 million. And at that price, the Arizona Diamondbacks might be wondering why they gave up their face of the franchise with one year left on his existing contract. But give him up they did! After finishing just 82-80 last season, the D-backs are officially rebuilding and so they flipped the six-time All Star for a pitching prospect, two minor leaguers and a 2019 Competitive Balance Round B draft pick back in December. It’s possible that one or more of the guys Arizona got in return will prove to be savvy acquisitions in the long run. The bundle of prospects included right-handed pitcher Luke Weaver, catcher Carson Kelly and infielder Andy Young. But Goldschmidt, who spent eight years in Arizona, is still a much, much larger presence even in his absence in D-backs spring training than any of those guys. We asked a bunch of fans, many of whom were still rocking Goldie jerseys, if they could name even one of the guys their team got in the trade and, well, just take a look at how that went.